• The University of Copenhagen, Copenhagen Business School and Lund University have agreed to share the ownership of the Nordic Instute for Asian Studies (NIAS) in Copenhagen. The official agreement between the three partners was signed at a reception at the Nordic Council of Ministers (NIAS' previous owner), in Copenhagen on Wednesday 6 October 2004, and the new ownership of NIAS was effective from 1 January 2005. The Institute, headed by Jörgen Delman (photo to the right) has a Nordic Board of directors but is is administratively integrated with the University of Copenhagen. More information on the Nordic Institute for Asian Studies. • The Nordic Institute for Asian Studies (NIAS) offers scholarships for visiting Nordic MA students and PhD candidates to its research centre and library in Copenhagen, through the so called NIAS SUPRA programme (Support Programme for Asian Studies). Students affiliated with institutions that are members of the Nordic NIAS Council (see www.nias.ku.dk) are offered full scholarships that cover travel expenses, accommodation and full board at the ”Nordisk Kollegium”, whereas students from non-members of Nordic NIAS Council will have to pay for accommodation and transportation themselves. For students from Lund University there is also an alternative, namely Öresund Scholarships. In this case NIAS reimburses daily commuting costs to/from Copenhagen. Application deadlines for SUPRA scholarships are three times a year, 1 April; 1 September; and 1 December. More information. • Øresund Scholarships. Researchers and students from Lund and Roskilde universities are invited to apply for NIAS' ”Øresund Scholarships”. Scholarship candidates are expected to commute daily (Monday-Friday) to/from NIAS and must arrange travel schedules/tickets (cheapest way) themselves. Travel costs will be refunded on arrival at NIAS. Only transport costs are covered by the scholarship: Eventual accommodation costs and incidental expenses in Copenhagen are not covered. Stays are arranged subject to a time schedule administered by NIAS. More information.  Paid sabbatical leave for externally funded researchers. NIAS offers paid sabbatical leave for externally funded researchers. The Nordic Institute for Asian Studies, Copenhagen, Denmark, offers a chance for externally funded researchers, who should be scholars on contemporary Asia, to apply for a paid sabbatical leave to base themselves at NIAS in Copenhagen, where excellent research facilities are available. Please note that the scholarships are primarily designed for senior researchers and post-docs from member institutions of the so-called Nordic NIAS Council, who are invited to visit NIAS on a fully funded stay for periods of two or four weeks. For more information, contact Erik Skaaning, Information and Seminar Coordinator at NIAS. What is the Øresund Network of Asian Studies? – Information on NIAS; Asia related lectures, etc. 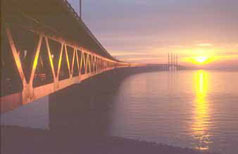 An Øresund Network of Asian Studies was formally established in 2003, and will eventually entail focused cooperation at all levels of education within the Øresund University. The purpose is to strengthen East, South-East and South Asian education and research at the universities and university colleges involved in the Øresund University Consortium. A planning meeting between representatives from Lund University and University of Copenhagen took place on 28 March 2003. Read the notes from the meeting (as a pdf-file). Another fruitful meeting discussing how to proceed with the cooperation in all respects took place on 14 January 2004. The ØRNAST educational cooperation project between the universities of Lund and Copenhagen was then formally inaugurated with a ceremony at Copenhagen University on Tuesday 14 September 2004, 16.00–18.00. A large number of teachers and students as well as administrators from the involved departments/faculties at Copenhagen and Lund universities participated. A welcome speech was given by John Kuhlmann Madsen, Dean of the Faculty of Humanities, University of Copenhagen (photo to the right ). 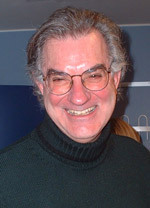 Kenneth Zysk, Dept. for Asian Studies, Copenhagen, then talked about the significance of the partnership. Ole Krarup Jensen (photo to the left) and Lars Eklund demonstrated the the Internet website presenting the partnership. Steen Folke gave a short personal lecture on ”45 years of Danish-Indian development partnership”, and finally Staffan Lindberg, SASNET made a concluding speech. Øresund Network of Asian Studies (ØRNAST), is based in the Øresund University Consortium, a consortium of eleven universities and university colleges on both sides of the Sound (Øresund) in the Swedish province of Skåne and the Danish province of Sjælland. The network is intended to encourage, initiate and support networking and cooperation between teachers/researchers and institutions in all academic disciplines. It aims at the development of a number of shorter and longer undergraduate courses on Asia or relevant to Asia, sustainable master’s programmes, and a network among institutions, teachers and Ph.D. students for strengthening researcher training. The planning has involved initiating and building the necessary network via meetings at Lund, Copenhagen and other institutions at Øresund. In Denmark the BA level (kandidatexamen) always includes a major discipline (hovedfag), while in Sweden the BA level can include several shorter courses in various disciplines. The Danish Masters exam (Magister) is also based on major studies within a particular discipline and can be pursued according to an individual study plan. In Sweden, there are both Masters course based on a major discipline and Masters courses based on a broad canvass and which allows students with various backgrounds. This implies that the Danish students often have more advanced knowledge within a particular discipline than their Swedish colleagues. A Danish Masters exam is also expressing a somewhat higher level of learning in a partiular discipline than a Swedish one. On the other hand, the Danish Ph.D. exam is a 3-year programme, while the Swedish one is a 4-year programme. These facts should have some implications for how we handle exchange between different levels of students across the Sound. 1. Exchange of information about all relevant courses and other events (guest lectures, seminars, workshops, conferences, etc.) to be published on the website of the Network, run by SASNET (SASNET: ØRNAST). Responsible on the Danish side: Ken Zysk (photo to the left). 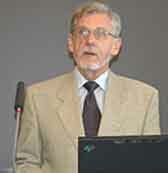 Responsible on the Swedish side: Lars Eklund, SASNET. 3. An attempt to get permission from decision making bodies at Lund University to allow B.A. candidate students at the Department of Asians Studies, Copenhagen University, to attend the individual courses nos. 2, 3, and 4 in the new Masters course in Modern South Asian Studies as bon fide students. The credits from these courses would then be allowed as part of the fulfilment of their exam at Copenhagen University. 4. Develop a co-operation in the planning of Asia related teacher/researcher positions within the Øresund University. Lecturers and professorships could, for example, be shared in such a way that if CU employs a lecturer in Thai studies, LU could employ a teacher in Hindu. Their teaching could then take place at both universities. 5. Develop more cooperation in the field of Ph.D. courses and supervision, like in the network developed by International Development Studies at Roskilde University with partners in Lund and other Nordic universities. Participate in the building of the NorfAsia Research School in cooperation with NIAS and the Nordic Network. 6. Gradually attempt to extend the network of cooperation to develop new courses, summer schools, etc. Potential partners are here, for example, the University of Amsterdam, the International Institute of Asian Studies at Leiden, the University and Heidelberg, and a couple of British institutions, all of which we are already interacting with.